A busy day. 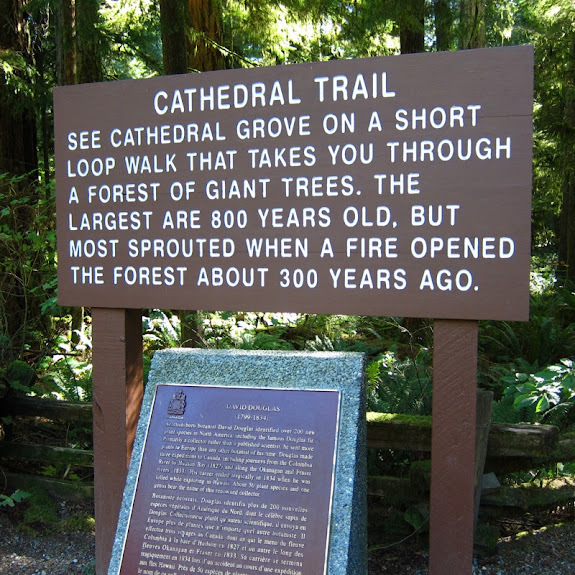 We walked along the Catheral Trail amongst some very big trees. 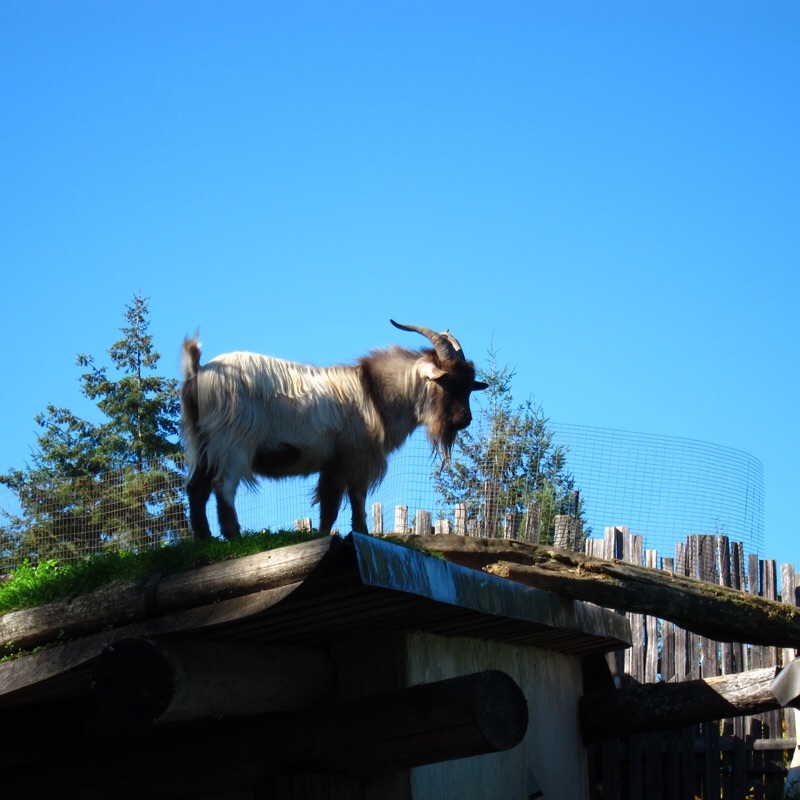 Had a surprise wildlife sighting - always pays to look up. 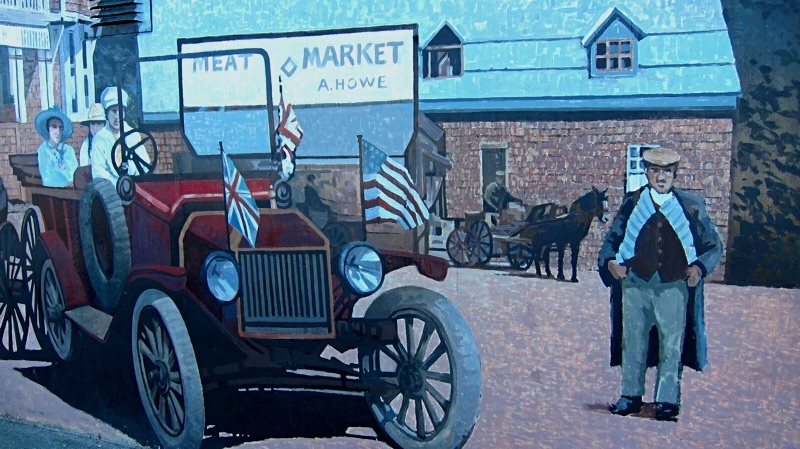 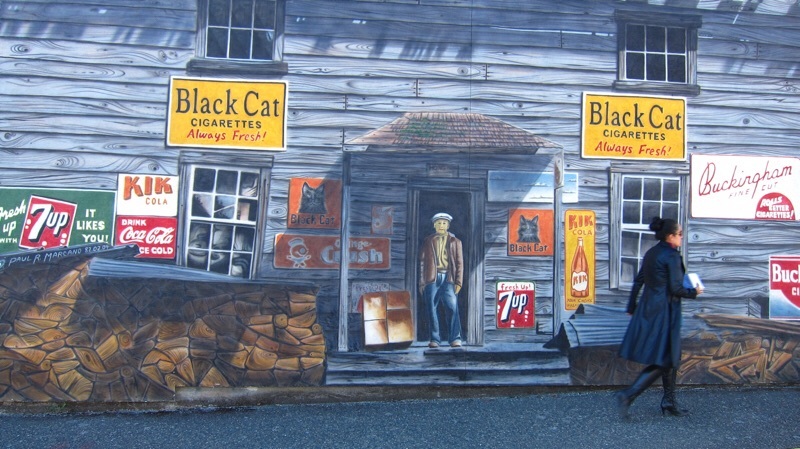 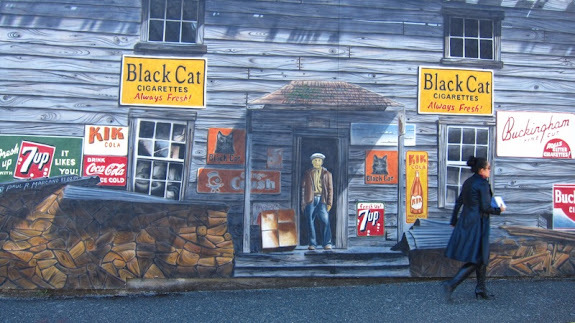 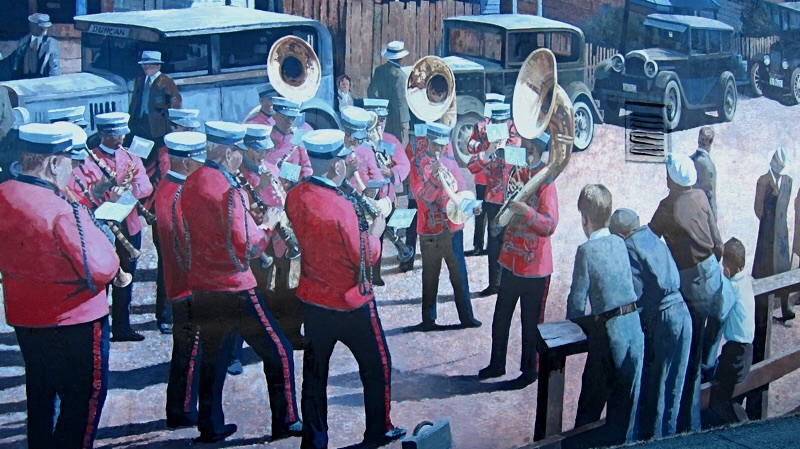 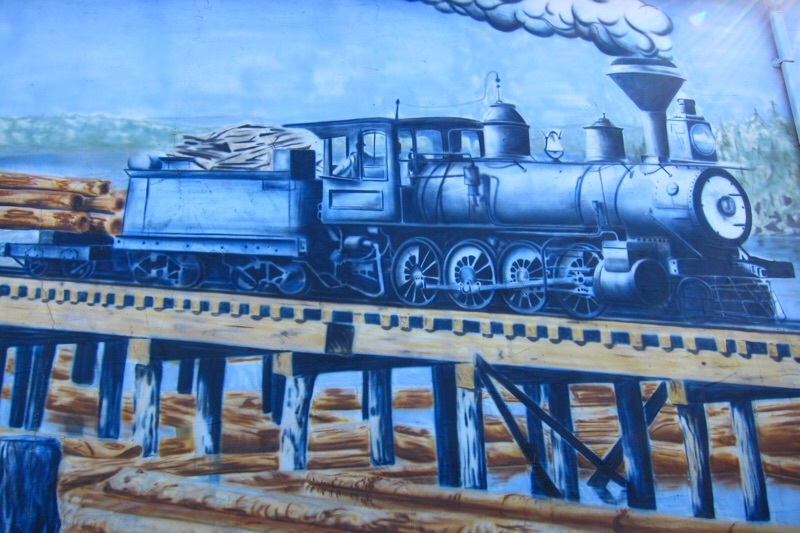 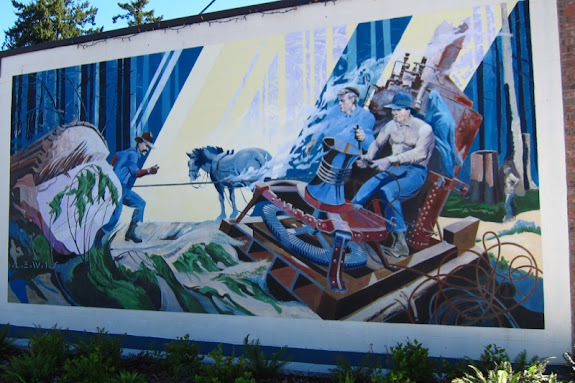 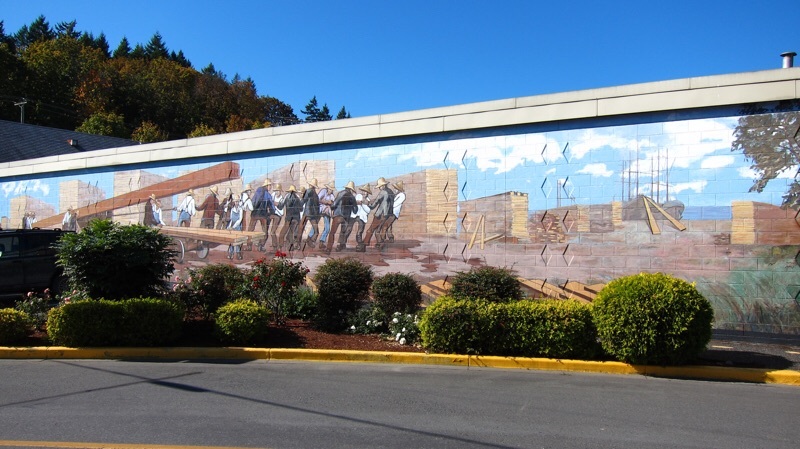 Walked the streets of Chemainus looking at murals depicting the history of this small mill town. 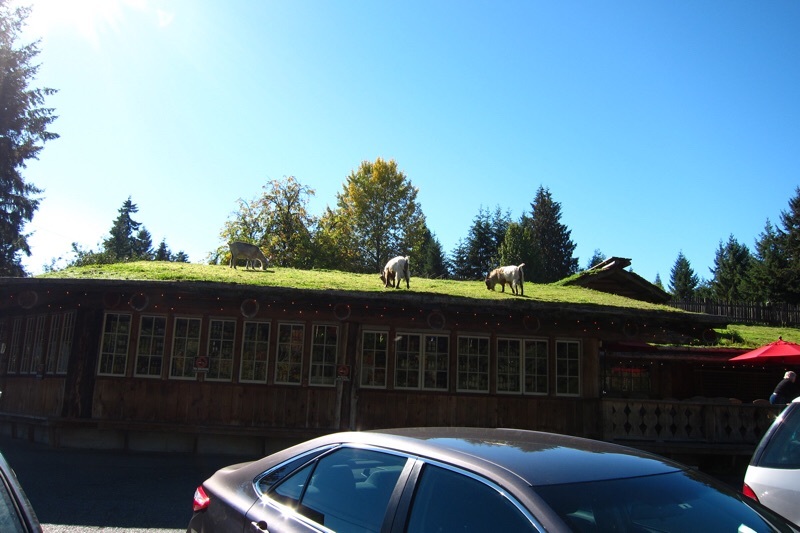 A nice day. 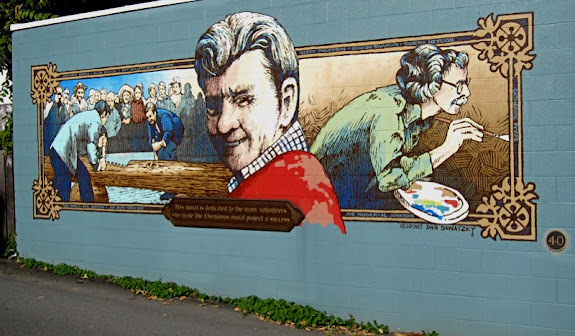 Some of the over 50 murals in Chemainus. 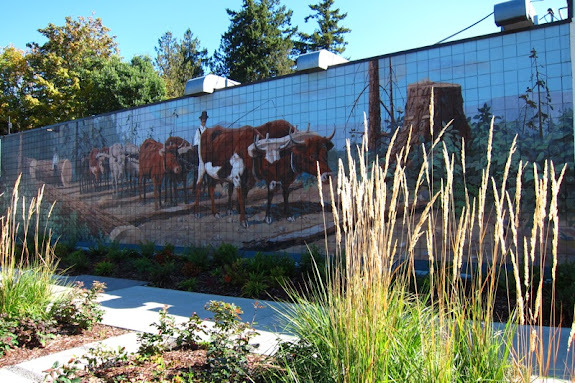 If you like to see them all and learn more visit Mural Town. Sunset at our campsite tonight. 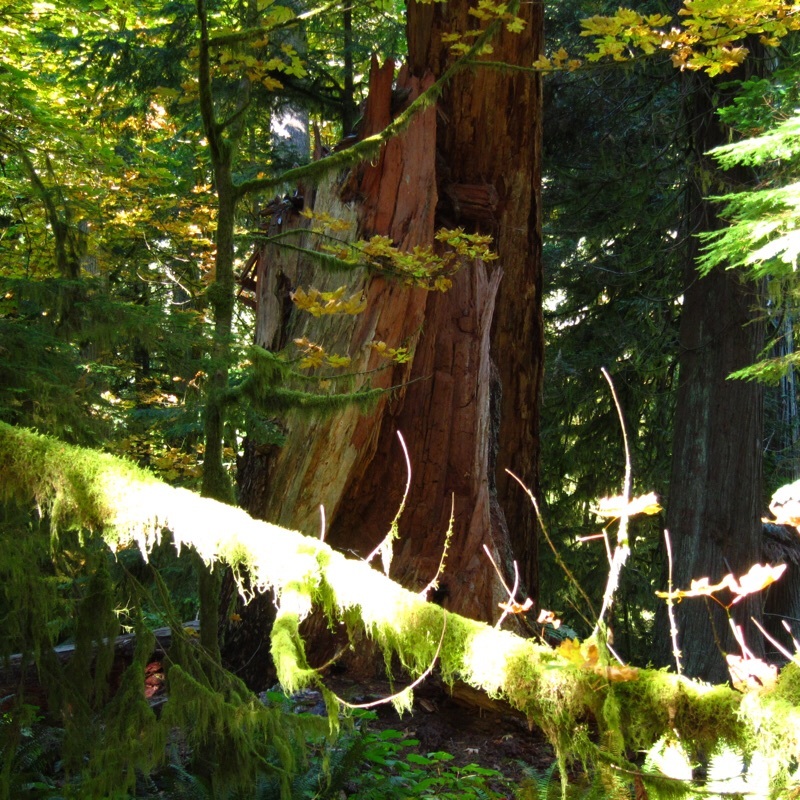 That's the Washington State coastline accross the Juan De Fuca Strait from Vancover Island.